Care for a variety of local pets including loveable cats and dogs, slithery snakes, hamsters, colorful birds and cuddly rabbits to make sure they receive the right treatment so they stay happy, healthy and well groomed. Simoleans earned can be used to furnish the perfect apartment and buy fun pet accessories like hats, shoes and toys. 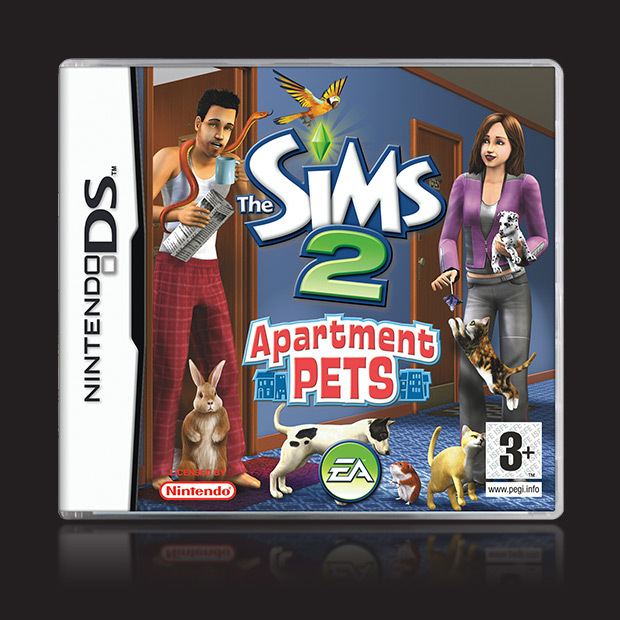 Additionally, players can use the Nintendo DS touch screen and stylus to play cool mini-games and unlock new objects for their Sim and their pets!